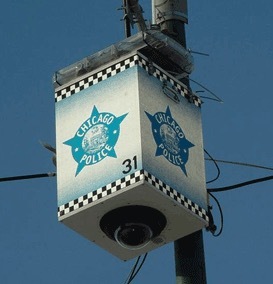 A careful review of footage from the city’s police pod camera system turned up no images of the murderer who killed 24-year-old Eliyahu Moscowitz on a bike path in Loyola Park around 10:20 p.m. on October 1st, Alderman Joe Moore (49th) said Tuesday. Moscowitz was the second man to be killed at random on the streets of Rogers Park in two days. Willard “Douglass” Watts, 73, was shot to death at 10:05 a.m. on the day before as he walked his dogs about a half-mile away. Police have said the same gun and likely the same man killed the victims. A police source said Moscowitz was killed within steps of a police-operated camera, but the device is not actively monitored and its lens does not automatically re-direct toward gunfire like more recently-installed cameras. 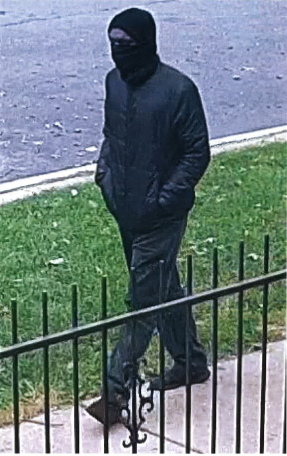 Detectives “are continuing to review and download other video surveillance from the surrounding area, including CTA video, and are canvassing the neighborhood for additional information,” Moore said. Rewards leading to the arrest of the person responsible for the murders now total $20,000, Incentives to provide police with information are being offered by the federal Bureau of Alcohol, Tobacco, Firearms and Explosives (ATF); the Jewish United Fund; the Rogers Park Builders Group; and the Cook County Crime Stoppers. Information may be provided anonymously to Crime Stoppers at 1-800-535-7867 or online at cookcountycrimestoppers.org, Moore said. Police have described the offender as a “dark complected” man with a slim build who stands 5’10” to 6’2” tall. He walks with his toes pointing out, a distinctive trait that may make him easier to identify since images and video of the suspect show him wearing a hat and scarf to cover his face. Police previously said they believe the murderer lives in or near Rogers Park.